Since the civil war erupted in Somalia more than two decades ago, thousands of families have flocked to the United States and left some of their loved ones in the war-ravaged country, which now has one of the highest unemployment rates in Sub-Saharan Africa. With their minds on those left behind, Somali-Americans have been sending a share of their paychecks in remittances, which amount to almost the annual aid the United States government sends to Somalia each year, according to a new study. About 40 percent of the Somali population relies on remittances the Somali diaspora throughout the world sends, said Degan Ali, executive director of Adeso, a humanitarian and development organization, which in part conducted the research. This means that money sent from abroad is a way of survival for these people, she added. Somalis around the world send approximately $1.3 billion to Somalia each year, according to the study. When the civil war broke out in 1991, all the formal institutions in Somalia had collapsed. As a result, millions of Somalis were left in isolation from the rest of the world: People could not travel using a Somali passport. Doing business with someone outside of Somalia was difficult. There were no banks and no way someone could send or receive money from outside Somalia. In the early 1990s, however, money transfer operators — locally known as Hawala, which means transfer in Arabic — became popular, serving as a banking system, where people can send and receive money. Senders in the United States pay $5 for each $100. More than 20 money transfer operators send money between the United States and Somalia. The majority of these hawalas operate in countries with large Somali populations. Hawalas that function in the Twin Cities include Dahabshiil, Amal Express, Tawakal Express and Amaana Express. One by one, U.S. banks ended relationships with wire transfers of hawalas in the last decade. 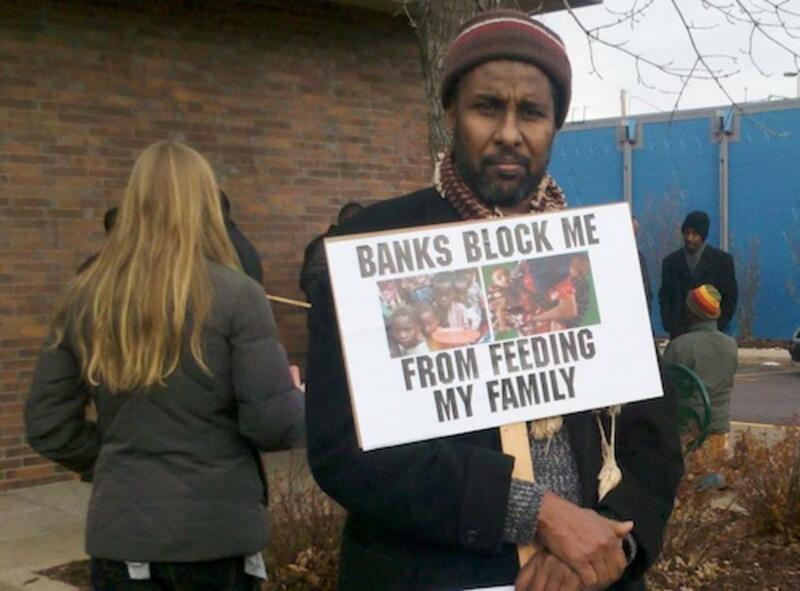 Wells Fargo and U.S. Bank were among the first banks that shut down accounts with Somali hawalas. Franklin Bank and St. Paul-based Sunrise Community Banks were the last in Minnesota to announce the divorce in December 2011, citing security concerns. David Reiling, CEO of Sunrise Community Banks, told news reporters two years ago that the bank’s decision was triggered by the two Rochester women convicted of sending money to al-Shabab, the terrorist group in Somali. Hersi Suleiman, chairman of the newly founded Somali-American Money Service Association, said anyone who sends money to the wrong hands should be held accountable. The study recommended that bank officials reconsider their decisions and find ways to expand services to hawalas without legal issues. The study also suggested that money transfer operators conduct training on detecting suspicious activities and record keeping. Adeso, Oxfam America and the Inter-American Dialogue, which jointly produced the report, invite Minnesotans to the research’s launch event on Sept. 6, at 6 p.m. at Safari Restaurant, 3010 Fourth Avenue South Minneapolis. This week: funding in limbo for the Somali Museum, more pressure put on the Minneapolis City Council on $15 and a new fitness center at North High.